No one escapes their childhood without getting teased in school for something. This is even more true for kids that have ears that “stick out” from the side of their head. Even as adults, if you have ears that stick out on your head, it can leave you vulnerable to ridicule from classmates, friends, siblings, and even co-workers. This type of teasing may seem like “good fun” but for people with unusually prominent ears, it can leave devastating emotional scars. But there’s good news! Plastic surgeons can correct this with a frequently-performed surgical procedure called an otoplasty. 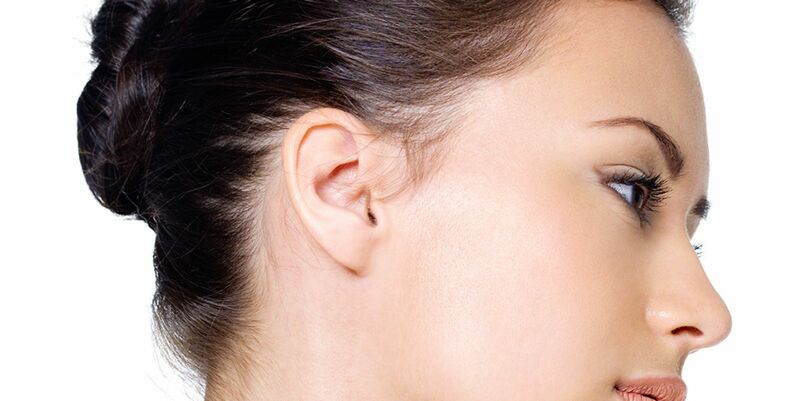 Conroe & The Woodlands patients can undergo this operation to correct the size and placement of their ears which protrude to give them a more natural appearance. If you’re ready to get the ears you’ve always wished you had, call Dr. Myers today at (936) 539-8115. Dr. Myers is one of the most experienced and precise facial plastic surgeons in the region. His meticulous and gentle style delivers the kind of beautiful results you desire. Take a minute or two to look at our gallery of Before-and-After otoplasty photos to see his results for yourself. Now, many of our Conroe & The Woodlands patients are curious about how to get the process started and what will happen after they call us. We are always pleased when we get a call from a potential patient. Our dedicated staff is more than happy to answer your questions and talk with you about your concerns. From there, we’ll schedule a time for you to come in and meet with Dr. Myers in person. During this preliminary meeting, Dr. Myers will want to learn as much as he can about your medical history, any drugs you’re taking, and also talk with you about your goals for the procedure. From there, he’ll develop a treatment plan specifically for you. Call us today at (936) 539-8115 to learn more and to set up your first appointment. Conroe & The Woodlands often ask us when and if they should undergo an otoplasty. Otoplasty or ear pinning can be performed for children at the age of 6 years old once their ears have fully developed. Adults can also benefit from otoplasty as a means to increase their self-esteem and improve their image. Otoplasty is done for children because they are often the target of ridicule by their peers. They become self-conscious of their ears, and such social ridicule can have severe emotional and behavioral effects on children. As long as you are in good mental and physical health, you don’t smoke, and you’re not in poor health, you should be a prime candidate for otoplasty. This is not to say that every patient is a candidate for otoplasty. Conroe & The Woodlands patients may not be a good candidate if they experience severe comorbid conditions like heart disease, diabetes, wound healing disorder, and excessive scarring. Patients who smoke cigarettes and who are pregnant are also not good candidates. What Happens During an Otoplasty? Conroe & The Woodlands patients are often curious about how Dr. Myers performs an otoplasty. First of all, we perform this procedure in an outpatient facility. That means you’ll go home immediately after the procedure and will need someone to drive you home. In most cases, Dr. Myers will make an incision behind the ear. Then he’ll sculpt or remove as much cartilage and skin as is needed. From there, he may use permanent sutures to hold the cartilage and ear in place closer to the head. What is the Recovery Process Like for an Otoplasty? Conroe & The Woodlands patients will get a detailed list of things to do and to avoid as they recover. The recovery time is fast compared to other types of plastic surgery. You will be required to wear a lightly supportive tennis or skiing headband or ear wrap for 6-8 weeks after the surgery. During this time Dr. Myers recommends that you sleep on your back and not on your side and that you avoid hitting or rubbing your ear after surgery as this may alter the results. Dr. Myers will instruct you when gentle hand washing of the ear is permitted. For children, they can go back to school in a week as long as they’re careful during playtime. Adults can head back to work within 5 days. However, you should avoid any kind of activity where your ear may get bent for a month. You will start to see the results over the first two weeks following surgery. The final result of your otoplasty may not be evident until six to 12 months. If you’re tired of your child getting harassed at school because of their ears or if you’re ready to love how you look in the mirror, call Dr. Myers at (936) 539-8115. Our Conroe & The Woodlands patients get life-changing results because of his skill, gentleness, and precision. Call today to learn more.